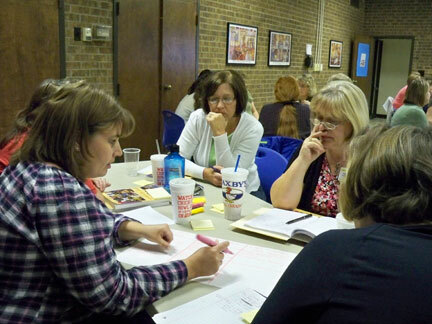 It was a joy working with teachers in grades K-4 on math work stations in Frankfort, IN. 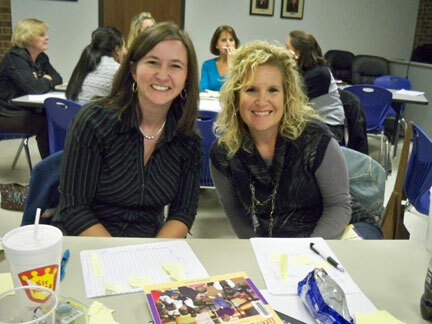 We met in grade level teams and looked at their curriculum and state standards. We also checked out the Common Core State Standards (www.corestandards.org) for math. Then we planned upcoming lessons and math stations to accompany them. We used the planning form in Chapter 8 of my new book, Math Work Stations. I’ve posted pictures of the work we did in 4th grade since many of you have been asking about how to create math stations for upper grades. They were teaching about improper fractions. We made a sample anchor chart for improper fractions that the teachers will make WITH their classes to help anchor this learning. 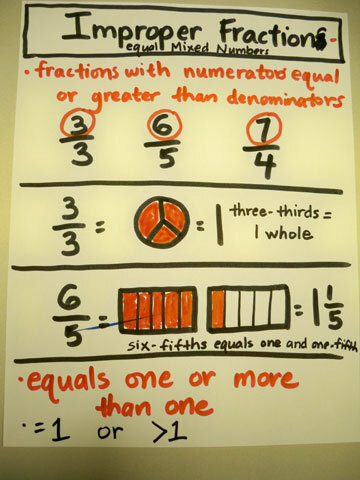 Students can refer to the chart as they learn about and explore math stations related to improper fractions. Not all stations will have fraction work at them. Some stations will review other concepts as well. 1. Look at what you’re teaching. Talk about how you’re teaching concepts as a grade level and share ideas! 2. 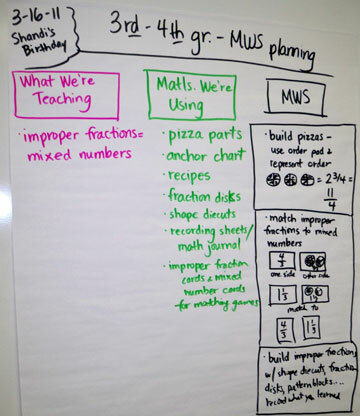 Use materials and games/activities you’re already teaching in whole group math (or even small group for some kids). 3. Plan for related math stations to be used as follow-up and review by pairs of students. Be sure kids are familiar with concepts and activities so this isn’t brand-new work. Familiarity helps students work independently. 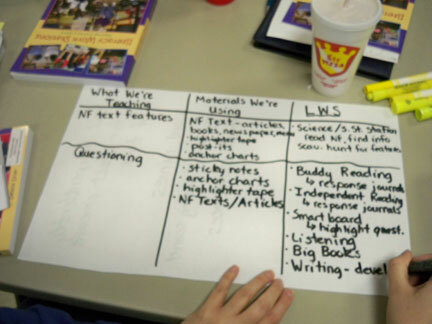 In Randolph Co., NC, we focused on how to plan for literacy work stations. 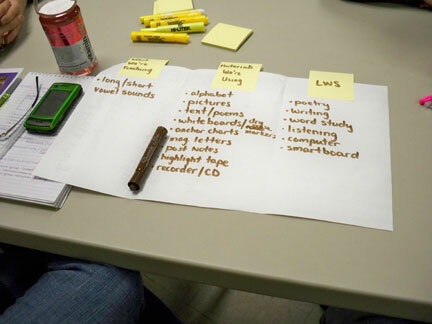 First, we looked at space and teachers mapped out their classrooms using paper and sticky notes. Then we examined quality whole group teaching based on state standards for reading. FInally, teachers worked in teams to plan and chart what kids would practice at literacy work stations. The photos tell the story!